I recently discovered that this year marks the 100th birthday of three cultural icons who influenced my life deeply in the late 1960s, when I first set foot on the spiritual path that would define my future. This is my homage to them. 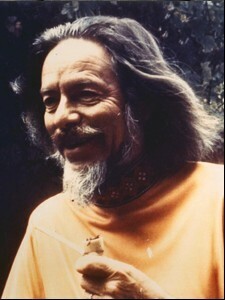 Alan Watts (January 16). I discovered the profound transformational depth of the Eastern spiritual traditions through brilliant commentators like Aldous Huxley, Joseph Campbell and the irascible, irreverent and irreplaceable Alan Watts. From the publication of his classic book, The Spirit of Zen, at age 21, Watts was known as an erudite interpreter of Buddhism, Hinduism and Taoism. One of his gifts was to locate the common threads of insight that distinguish the various Eastern traditions from the Western faiths. Originally from Britain, he was an Episcopal chaplain at Northwestern University when, in 1951, he moved to San Francisco, where his talks and classes drew large numbers from the bohemian subculture. A flood of books, radio broadcasts and public TV shows followed (some can be seen or heard today) As the Beat era segued to the Hippie era, the iconoclastic Watts was a principle spokesman for experiential, eclectic, and decidedly non-ascetic spirituality. Thanks to his lucid prose, captivating speaking style, roguish personality and unfailing wit, Watts, who died in 1973, remains a folk hero to both spiritual veterans and young seekers. As I wrote here last year, he made a cameo appearance of sorts in the movie Her. Now, in honor of his centennial, Brooklyn-based Figure and Ground records has produced a 4-track EP titled Face the Facts, with audio of Watts accompanied by infectious music by Jas Walton. Sample line, which no doubt blew many a mind when it was first uttered: "Every one of us is an aperture through which the whole cosmos looks out." Thomas Merton (January 31). Thanks to Watts and others, I started imbibing the spiritual treasures of India. My horizons expanded to this half of the globe when a friend introduced me to Thomas Merton. I had no idea that Western religions had mystical branches, with their equivalent of yogis and swamis. In fact, most religious Jews and Christians did not know what was hidden in the esoteric corners of their own traditions. Merton, who died by accidental electrocution in 1968, in Thailand, catalyzed the process of rediscovery. Born in France and raised Anglican, Merton moved to New York, where he attended Columbia University and plunged into literature, politics, jazz, wine and women. 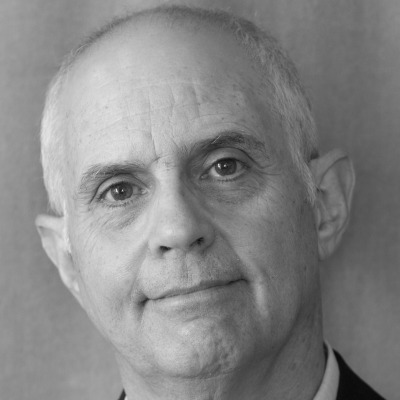 While in graduate school, he had a powerful religious experience that led him to the Catholic priesthood. Drawn to seclusion, he entered the Abbey of Gethsemani, a Trappist monastery in Kentucky. His bestselling memoir, The Seven Storey Mountain (1948) made him a public figure. From his humble quarters came a torrent of poems, essays, books, and letters to spiritual leaders of the East and West. In the journal he kept on the Asian journey where he met his end, he wrote, "I believe that by openness to Buddhism, to Hinduism, and to these great Asian traditions, we stand a wonderful chance of learning more about the potentiality of our own traditions." That sentiment has since been followed by millions. My own path has been enriched by the Christian contemplatives, the Kabbalists and other Jewish mystics, and the Sufis of esoteric Islam, all of whom I discovered after I learned from Merton that there are many entry points to the transcendent if you're open to them. (I recommend Merton's Palace of Nowhere by James Finley. 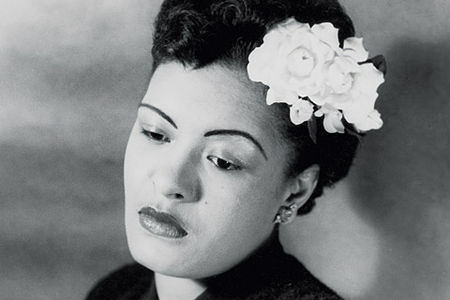 Billie Holiday (April 7). What's spiritual about a jazz singer known as much for her addiction and anguish as her unmatched way with a song? As another musical genius, Leonard Cohen, wrote, "There's a crack in everything; that's how the light gets in." For me, Billie Holiday was one of those cracks. There was no shortage of exuberance and ecstasy in Woodstock era music, and I availed myself of all of it. But at times I hunkered down with one of Lady Day's albums, most often Lady in Satin, which somehow grew more sublime the scratchier the vinyl became. We tend to seek uplift in explicitly spiritual music that calms, or stirs, or warms the heart or delivers messages of hope and deliverance. But a sad song rendered from the depths of an authentic soul can crack the heart wide open and, in the process, let in more light than "spiritual" music that's banal or phony or shallow (and lots of it is). Billie, whose tragic life ended in 1959, delivered unfiltered emotional truth, and that made her songs of loss and longing as holy as any hymn. Watts showed me the sacred teachings of ancient Asia. Merton showed me that deep spirituality transcends religious labels. Billie showed me that the sacred is present in the full range of human experience. I'm grateful to them. Happy 100.